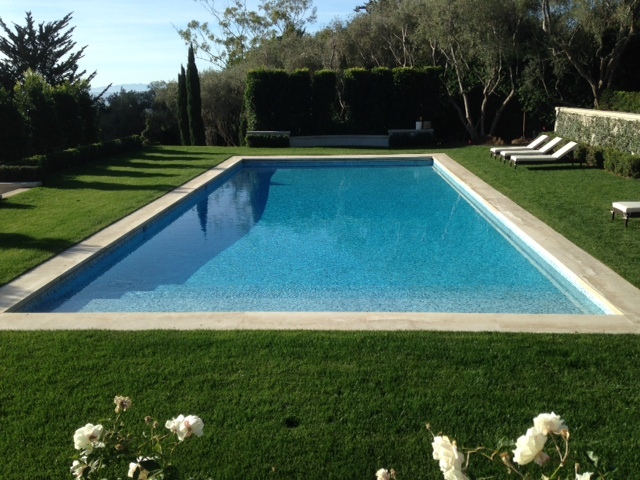 We’ve just completed this pool in this beautiful Montecito home. 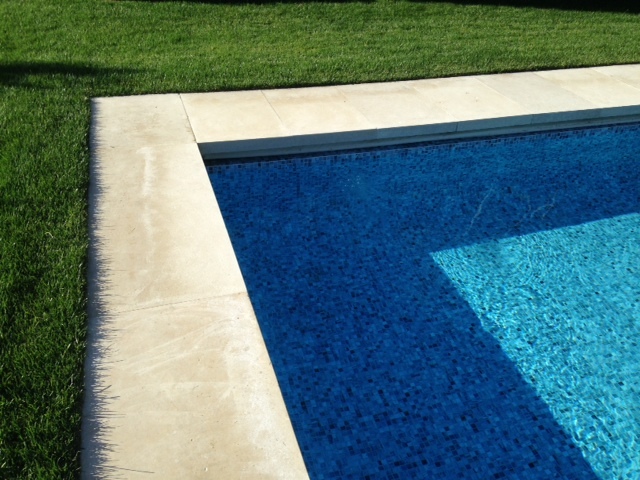 The material used is a taupe limestone with a light antique finish. 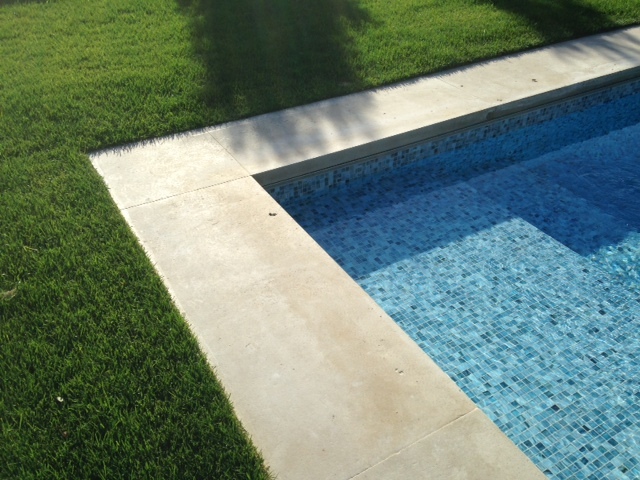 Here are some images of the finished pool.